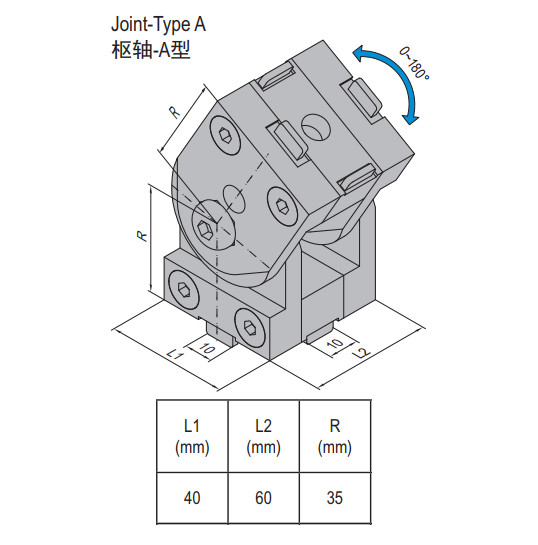 Categories: Additional Accessories [8.x...], All, Joint [8.31.x...], Joint Type A, Modular Assembly Systems, Steel. 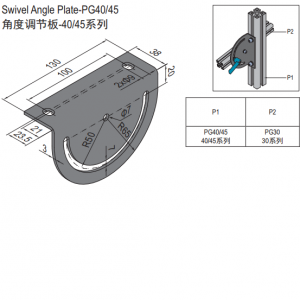 This product is a JOINT-TYPE A-4060 with a mass of 0.68kg. A steel joint can form a connection (rigid or movable) between two profiles at any angle on its axis. 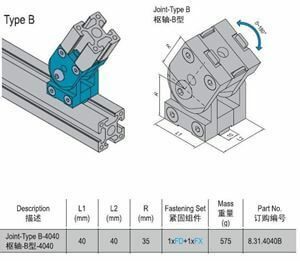 Type A joints are attached to a profile end. 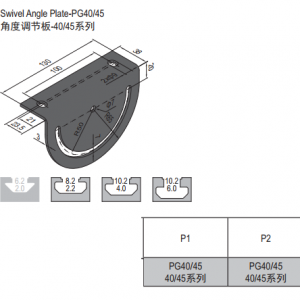 Finally, the alternative is having a fixed connection, setting the connected profile to a certain angle and fixing it in that position.